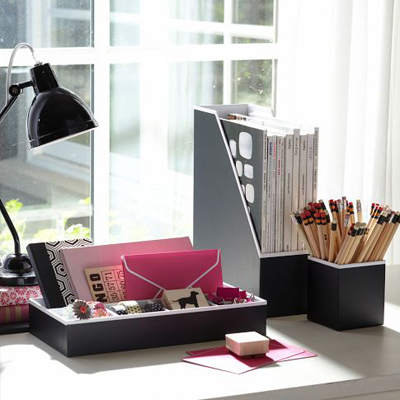 For the best-dressed desk, deck out your workspace with these smart and stylish Preppy Paper Desk Accessories. Includes magazine caddy, pen cup and tray. $39. Buy here.